I love apple butter! 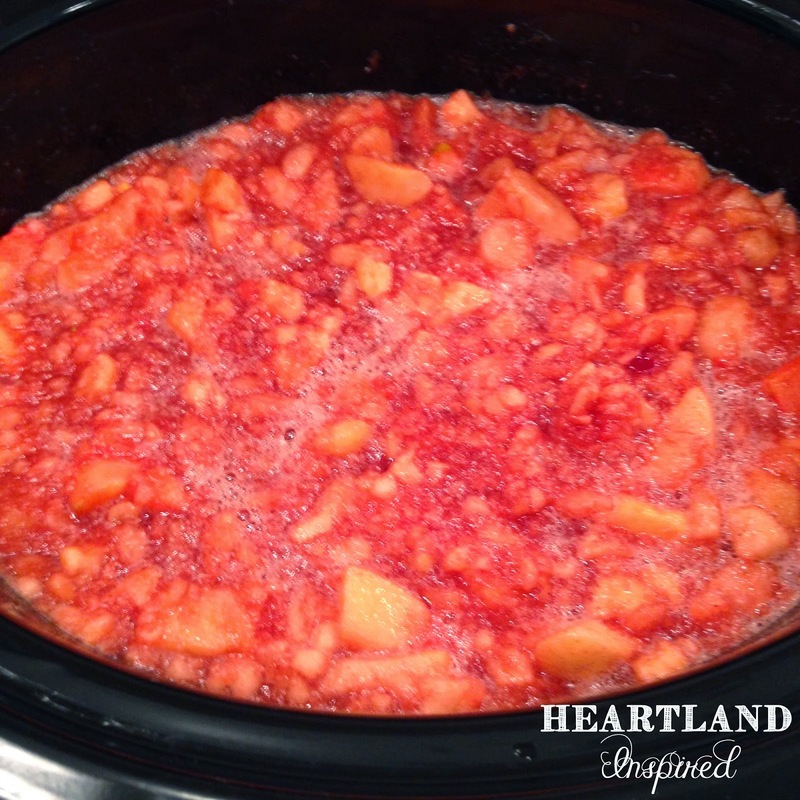 I have made it several times in the slow cooker and it is always so yummy and super easy. My favorite store in Shipshewana, IN - E & S Sales - carries Cinnamon Apple Butter that is made with red hots. It is a beautiful red color and has a sweet spicy taste. So good! 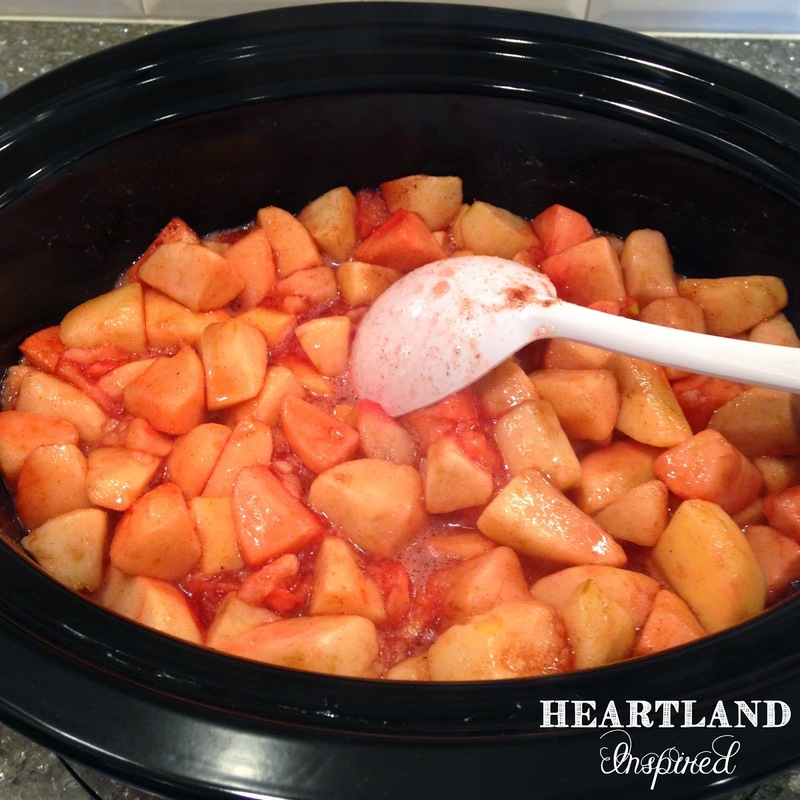 Thanks to the wonderful world of Pinterest, I was able to find a recipe for Red Hot Apple Butter from Sprinkled with Flour! I was beyond thrilled. I knew I had to give it a try. First, the apples. I am fortunate to be able to go to a fantastic farmer's market that has an apple vendor. They have a huge variety of apples. I picked mostly sweet apples, but I can't remember all the names. 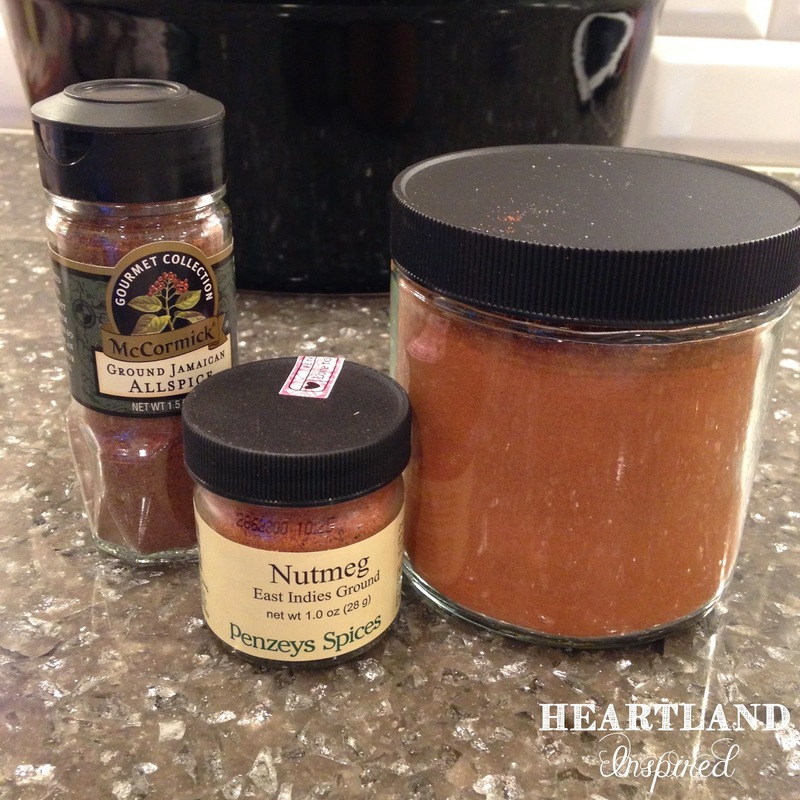 In addition to white and brown sugar, cinnamon, nutmeg and allspice are also included in this wonderful recipe. Of course, the red hots candies! Everything is loaded into the slow cooker with some water. This was the first time I have added water for an apple butter recipe. I am still a little undecided about it. It does make the end result a little more soupy than my previous recipes, but the taste is still fabulous. 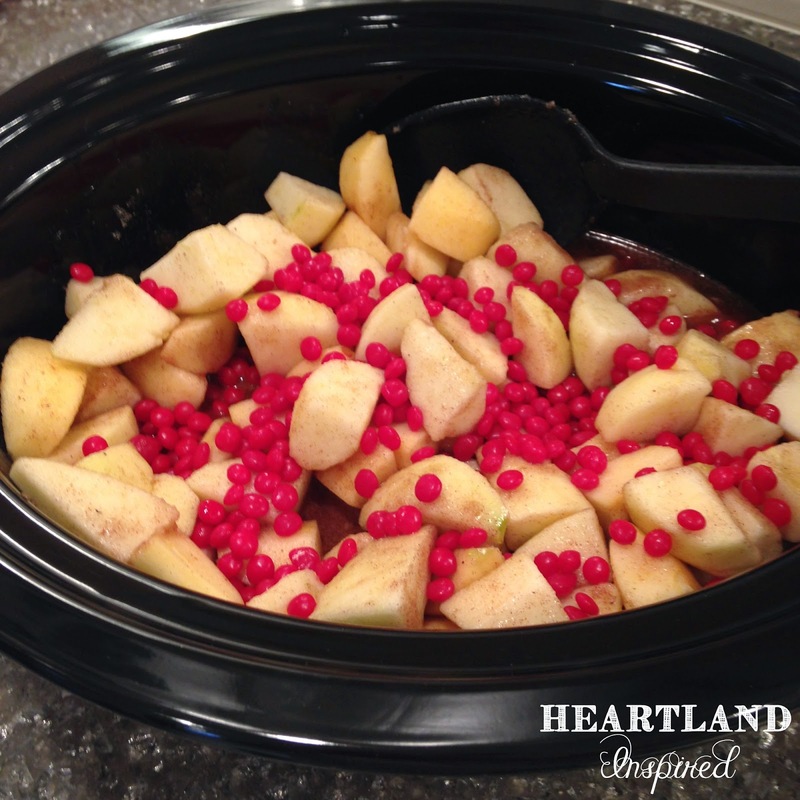 After 2 hours of cooking on high, the apples have softened considerably and the red hots candies have melted. 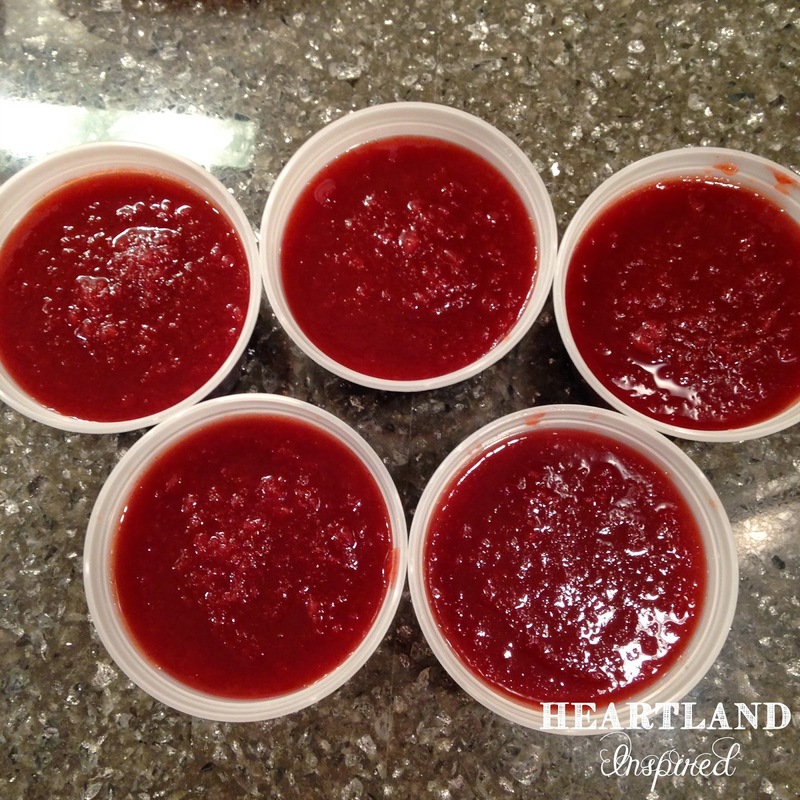 The original recipe said to puree the apples and she used an immersion blender. I don't have an immersion blender and since the cooking time was far from over, I used my potato masher to break down the apples. They still had a little bit of texture to them. After another 8 to 10 hours of cooking on low, this is the final result. 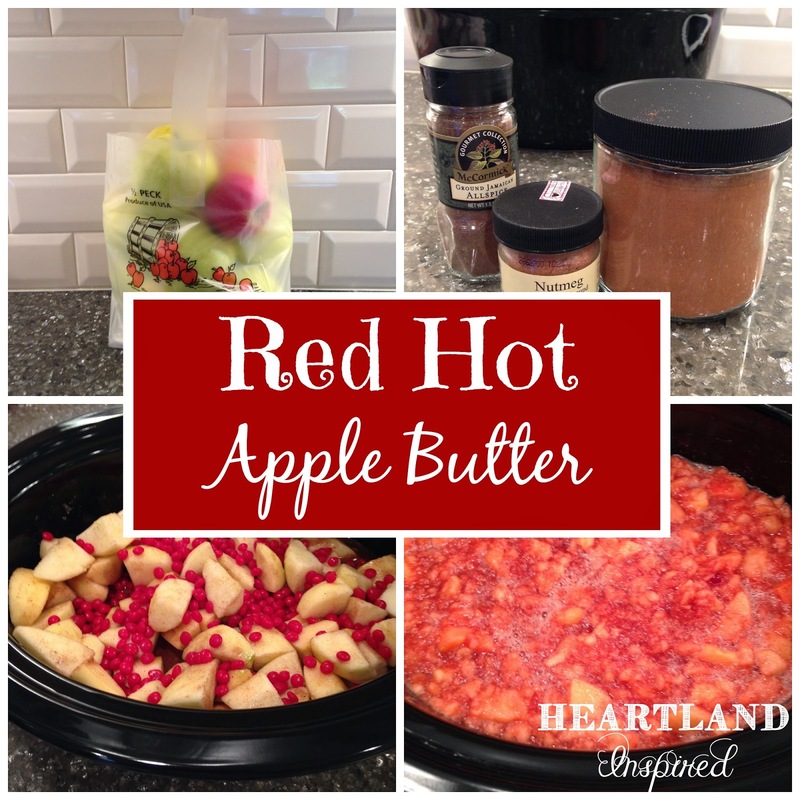 A gorgeous apple butter! And the taste is divine! 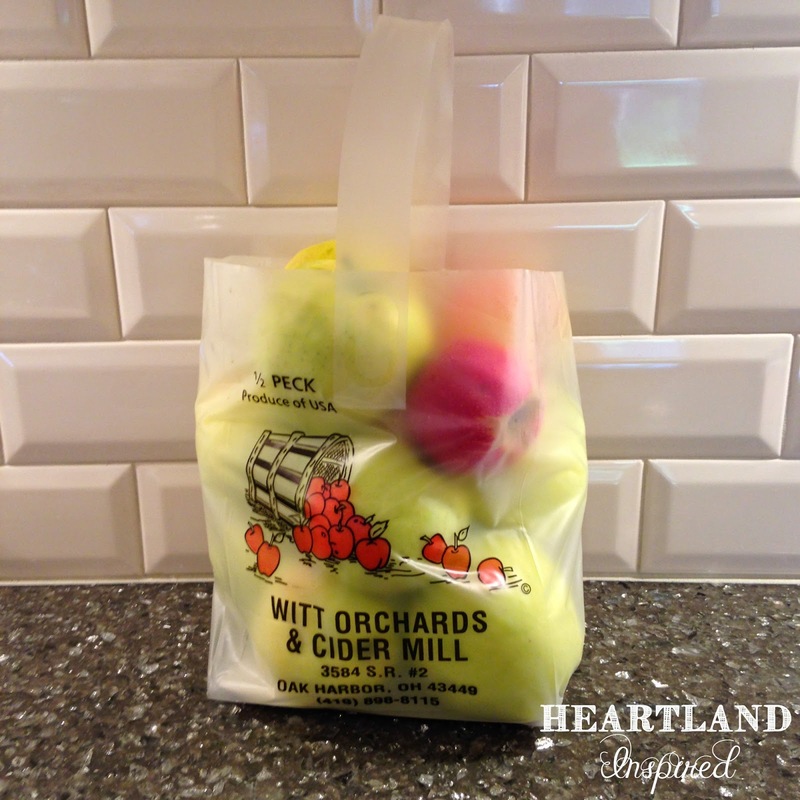 I was able to get 5 pints from about 5 pounds of apples. I froze 4 pints so I have lots to keep my apple butter cravings to a minimum. This recipe is definitely a keeper! Check out Sprinkled with Flour. She has some yummy-looking recipes. Very interesting with the red hots in there. My friend and I were talking about maybe making apple butter. I'll have to show her this. Hi Rhondi! 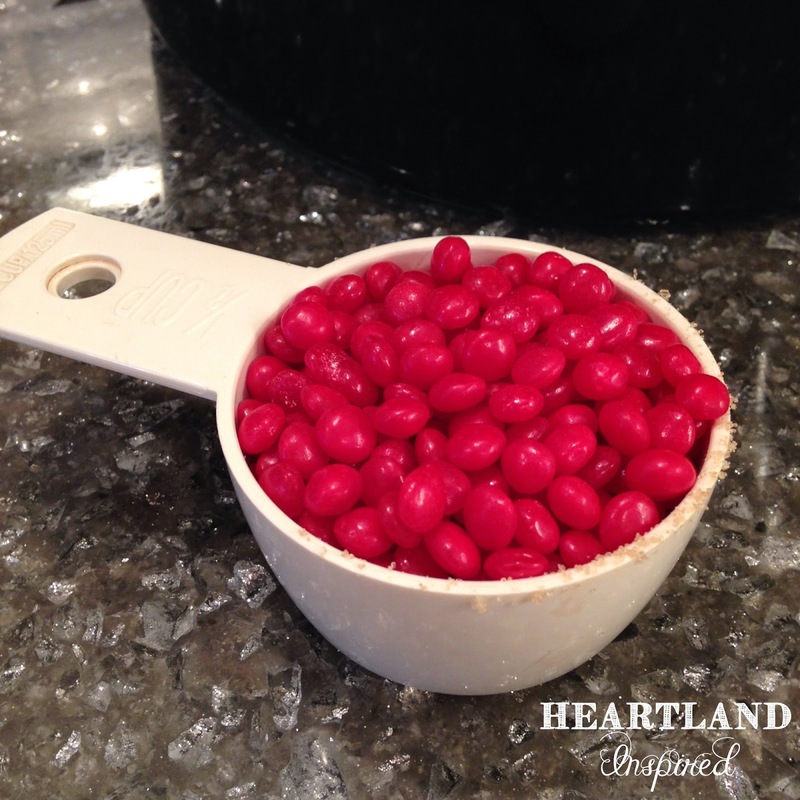 If you like cinnamon, adding red hots is a great option. 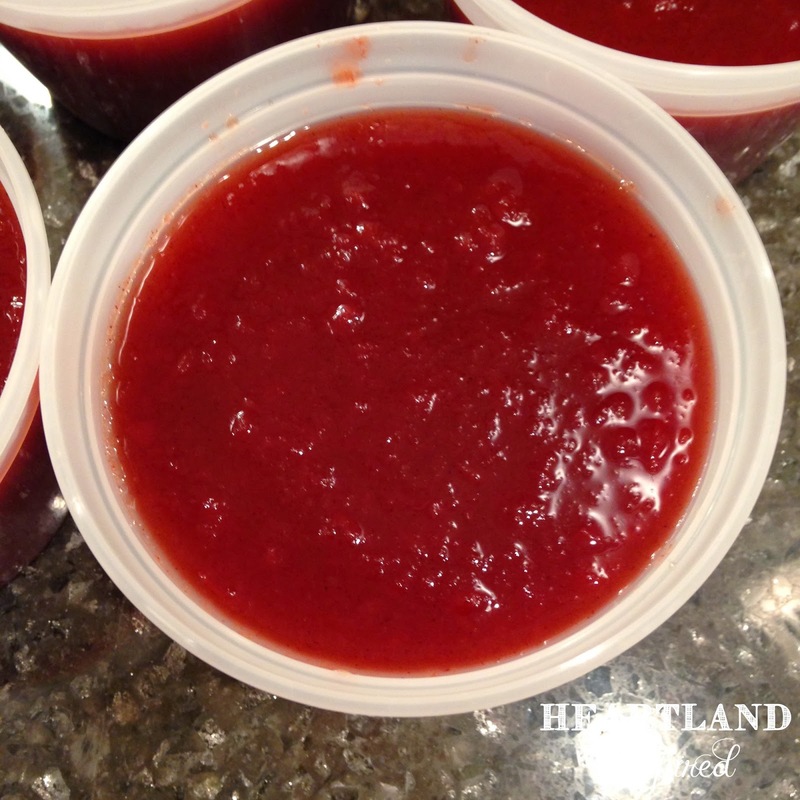 It doesn't make the apple butter hot or spicy, but it does add some nice flavor.